While you cannot control whether you have a family history of osteoporosis, you can eat a healthier diet to decrease your risk. One of the essential aspects of this is ensuring that you get enough fiber in your diet. What is the Relationship Between Fiber Intake and Osteoporosis? Ensuring that you are getting an adequate amount of fiber will support optimal digestion. And this will help you to absorb the nutrients from your food. There are two main types of fiber – soluble fiber and insoluble fiber.² Soluble fiber is the type that is found in vegetables such as carrot and eggplant, legumes such as lentils and beans and fruit such as oranges and apples. 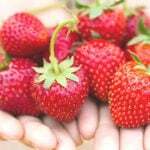 It will help you to control your blood sugar levels and lower your cholesterol. 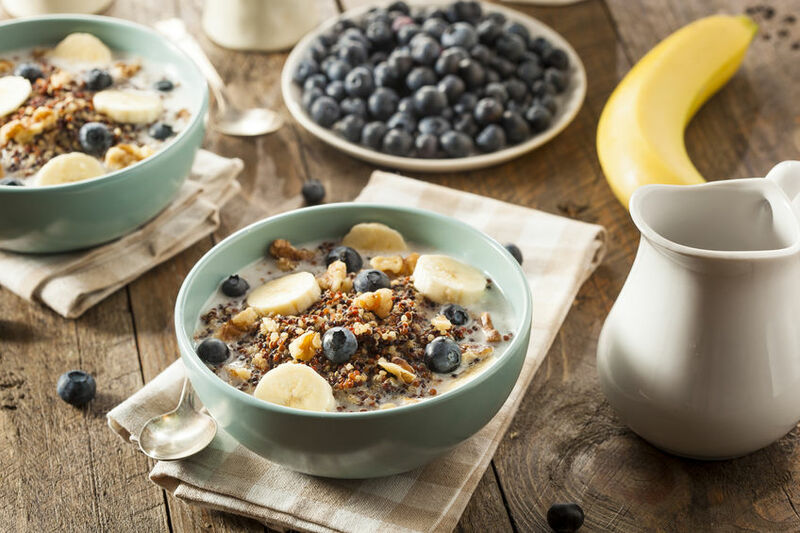 Insoluble fiber is the type that helps to keep you regular and is found within wheat bran and whole grains as well as some fruits and vegetables. It is important to get enough of both by eating a diverse diet high in fiber rich foods. Fiber will also help you to control your blood sugar levels. In patients who suffer from diabetes, fiber can slow down sugar absorption which helps to prevent blood sugar spikes. A healthy diet that includes the right amount of insoluble fiber can help you to reduce the risk of developing type 2 diabetes.⁴ This is doubly good since the medications that are often used to treat type 2 diabetes cause bone loss as a side effect. 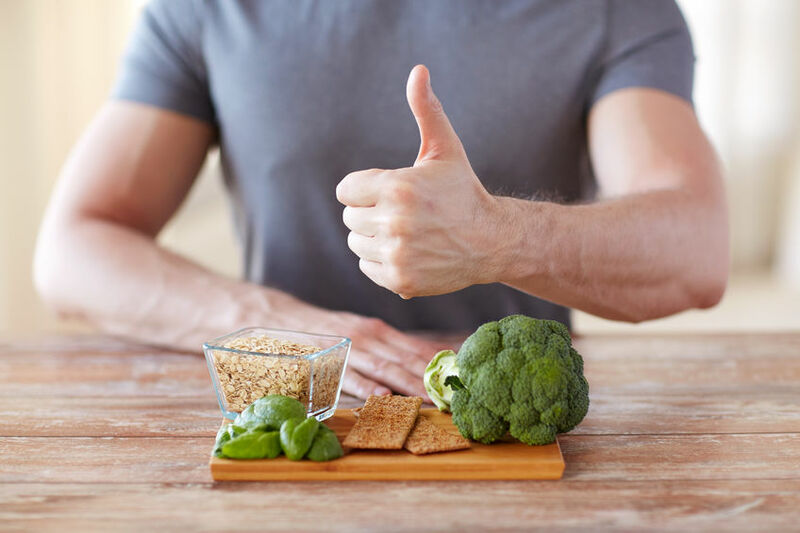 So, by eating more fiber you reduce your risk of diabetes and Irritable Bowel Syndrome, two diseases which not only damage your health and vitality, but also contribute to bone loss thanks to the drugs used to treat them. If you are taking medications now, we recommend reading our guide to drugs that cause osteoporosis. One of the warning signs that you are not getting enough fiber is constipation. If you have fewer than three bowel movements per week and your stool is often hard and dry this is a sign you are constipated and need to consume more fiber. You can gain weight more easily when you are not getting enough fiber, as fiber helps you to feel full and satisfied. If you don’t get that feeling of fullness after a meal you might end up eating more than your body needs. Also, if you have diabetes and you find it difficult to control fluctuations in your blood sugar you might be lacking in fiber. Fiber plays an important role in delaying the absorption of sugar, so that you can control your blood sugar levels more easily. If these symptoms apply to you and you think that your diet is lacking in fiber, it’s time to start increasing the amount of fiber you consume. Make sure that you take it slowly at first, as consuming too much fiber too quickly can cause diarrhea, bloating, gas and cramps. Eating more fiber will not guarantee that you will never get osteoporosis. However, eating a healthy diet that is high in plant fiber will reduce your risk of losing bone mass and developing this disease. Also, it will greatly improve your overall health and lower your risk of other diseases and complications. What are some healthy high fiber foods I can eat? There are a lot of delicious foods that you can eat which will help you to increase your fiber intake. Start your day with a bowl of oatmeal, which will give you 5 grams of fiber per serving. Add some raspberries on top for even more fiber, as they have about 8 grams in one cup. Carrots are a great snack that are high in fiber – one small carrot contains 1.4 grams of fiber on average. Also, get some chia seeds and sprinkle them in your yogurt or on top of a salad. They are yummy and crunchy and have 5 grams of fiber per serving. Take a look at our scrumptious recipe for Vanilla Chia Pudding. Experiment with different grains when cooking, such as barley. 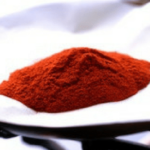 It can be used in soups and stews and it has 6 grams of fiber per cup. Brown rice is another great option, which has 3.5 grams of fiber per cup (more than 3 times the fiber content of white rice). Also, try cooking more recipes with lentils. These amazing legumes have 15.6 grams of fiber per cup! These are just a few of the many delicious high fiber foods you can add to your diet, there are many more! Of course, just as important as the foods you should be eating are the foods that you should be avoiding. We have listed the foods that increase your risk of osteoporosis so you know what NOT to eat. Adjusting your diet in these small ways won’t take too much effort, but it will make a big difference when it comes to your bone health. We hope you’ve enjoyed this post – let us know in the comments below what your favorite sources of fiber are! 2016, Dieticians of Canada. (2016) EatRight Ontario. Available at: http://www.eatrightontario.ca/en/Articles/Fibre/Focus-on-Fibre.aspx#.V7ZcIJh942w (Accessed: 19 August 2016). Flores, P. (2010) Irritable bowel syndrome and osteoporosis. Available at: http://www.healthcentral.com/osteoporosis/c/76444/109364/osteoporosis/ (Accessed: 24 August 2016). Web, M. (2010) Is your diet low in fiber? Available at: http://www.webmd.com/food-recipes/features/4-warning-signs-your-diet-may-lack-fiber#1 (Accessed: 19 August 2016). Heart and Stroke Foundation (2016) Healthy living – Fibre – heart and stroke foundation of Canada. Available at: http://www.heartandstroke.com/site/c.ikIQLcMWJtE/b.3484239/k.6942/Healthy_living__Fibre.htm (Accessed: 19 August 2016). If you’d like to discuss your bone health personally with someone, you can call us at 1-800-820-0184 Monday through Friday: 7am to 4pm (PST) and Saturday & Sunday: 8am to 2pm (PST). We’d be happy to answer any questions you may have! Look forward to speaking with you. Please could your measurements in “cups” be either replaced by or supplemented with weights in the more international grams, or for very small quantities in milligrams? I’ve recently been looking at a Web site listing the quantity of various nutrients (minerals etc.) in a wide range of foods, and was able to choose to see the measurements listed as e.g. mg per 100g, easily comparable. 1 cup is equal to about ~236 grams. One fiber fruit that wasn’t mentioned are prunes. Prunes increase bone density! Human trials of 5 years were impressive, and the 10 year studies narrowed down the therapeutic dose at 5 large prunes/day. Great point! Prunes are definitely a bone-healthy and fiber-rich food, which we have discussed in the past.